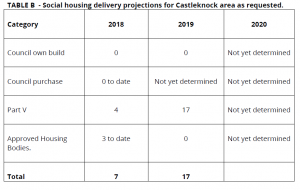 Fingal County Council needs to increase the ambition of the amount of ‘own build’ social housing it provides over the next three years. I recently put down a number of questions to the Council about the number of social housing units which will be provided in the Dublin 15 area through Council ‘own build’, acquisitions, Part V or those being built by Approved Housing Bodies. 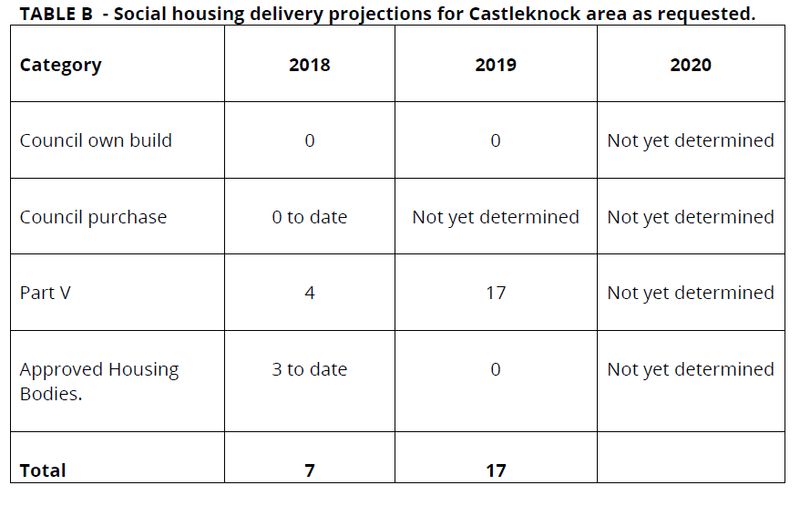 While these figures do demonstrate that Fingal is up-scaling the amount of ‘own build’ social housing that it is constructing, these still comprise a much smaller part of the Council’s efforts to deal with the Housing Crisis, compared to the use of HAP rental of private houses. For example, in 2018, Fingal’s has a target to build 408 houses across the entire county under the Government’s Rebuilding Ireland Strategy. This will see 69 ‘own build’ units provided in the Mulhuddart area and 4 ‘own build’ in the Castleknock area. 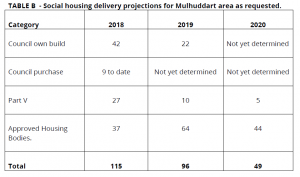 This is a small proportion of the overall number of houses being delivered. 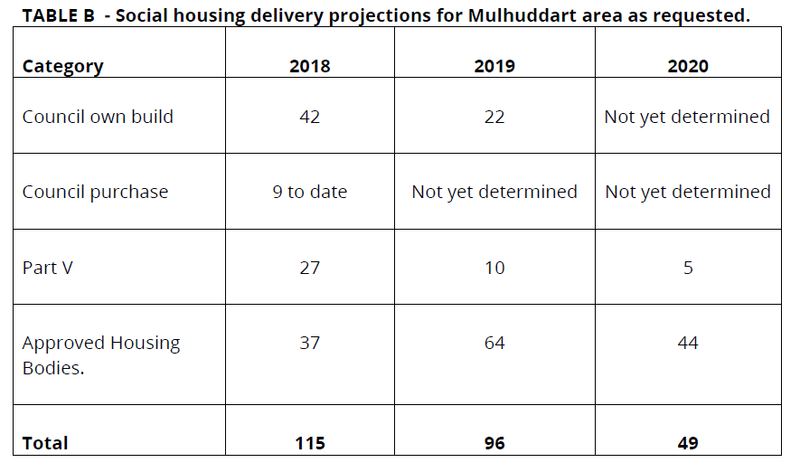 While developments like those proposed at the “Churchfields” site north of Mulhuddart do have the capacity to deliver a large amount of social housing, this will not be coming on stream for a number of years, due to the major design and planning works that it will require. In the meantime, Fingal needs to prioritise infill developments within existing estates and the use of smaller land-banks that it controls. It is also vital that central Government supports Fingal and other local authorities by providing the necessary staff for Planning and Architectural Departments within the Councils, so that local authorities have the necessary trained staff members to allow them increase the amount of social housing being built.